Once you fill out the form above, you should receive an email from us with instructions and ideas to invite your friends. Plan for one-and-a-half to two hours together for your gathering. Choose 4 women whom you admire - perhaps a couple you know well and others you'd like to get to know better. Pick a date that works for everyone. Use your favorite online platform like Facebook, Eventbrite, Google Calendar, etc. to send an invitation to your guests. 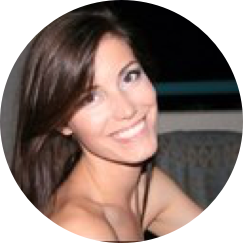 You will receive an email with instructions to lead your guests through the time together. The box has everything else you will need for the activities. While it may be tempting to peek inside, we suggest waiting until the event, so everyone can be surprised together. It makes the time much more memorable and exciting! Choose simple drinks and snacks to have available - we even send you some of our favorite ideas via email. And be ready for a remarkable time together! I've always enjoyed planning get togethers with my girlfriends. While it does take some effort to coordinate, it's worth it. I was looking for something different to do with my favorite friends, rather than just going out to eat or going to happy hours. I wanted to be able to enjoy a nice evening in my home where we could connect and enjoy good conversation. That's when I thought of designing a whole experience for us - where we could get real, laugh, encourage each other and make some great memories. 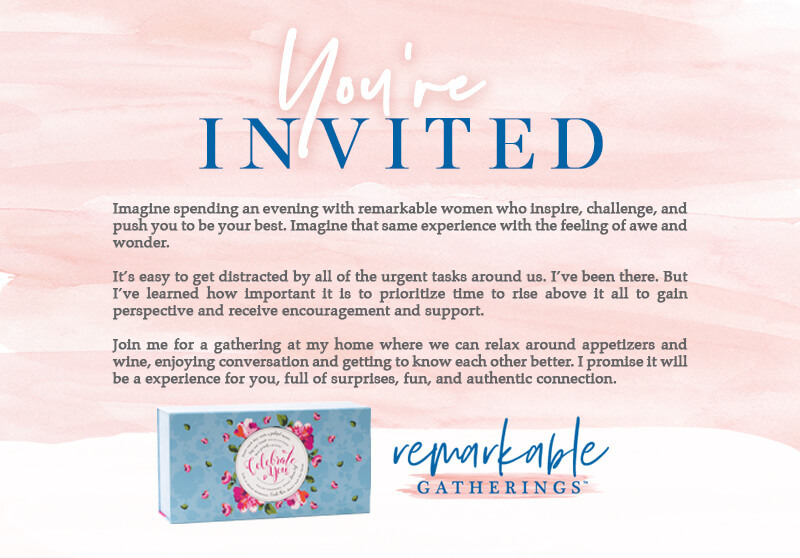 I enjoyed it so much with my network of friends that I wanted to share the idea with other remarkable women. 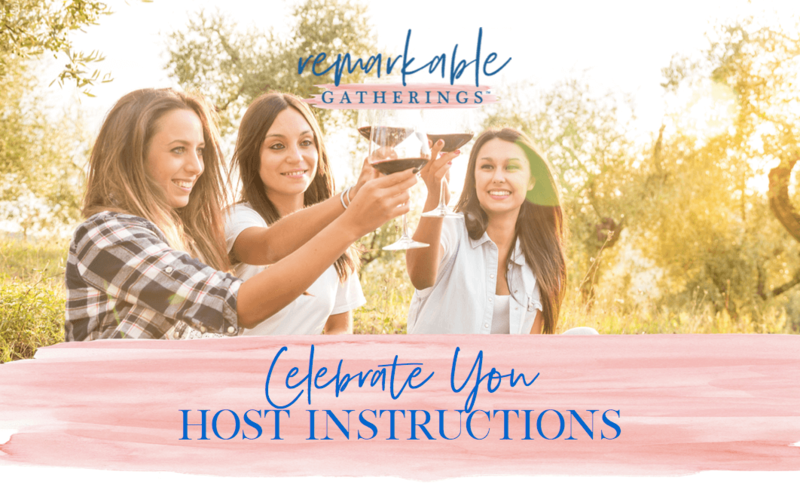 I was lucky enough to be invited to an evening at a friend’s house where I was introduced to the Remarkable Gatherings Celebrate You experience. It was an amazing night. The evening started out casually with delicious appetizers and wine and we moved into a cozy room and snuggled into our seats and made ourselves comfortable. Once the box was opened and we started to go around the room we began to learn so much about each other and ourselves. The evening was transformed into an intimate, fun, casual conversation where we all shared laughter and tears. The entire experience was one that lead us to get to know each other and ourselves on a much deeper level than we would have otherwise. The atmosphere was so supportive and genuine. I am very grateful to have been able to share with these ladies some of my story and have them validate and acknowledge things that are important to me. It was light hearted and meaningful all at the same time! These ladies, that I have only just met, have now become people that I consider friends and I hope to continue to see them more. When I left to head home my heart was so full, it was much more than just a happy hour. This is a way to challenge yourself and your friends and potentially create lasting deeper bonds with the women you invite. It was truly a remarkable evening!! I am looking forward to trying the other ones as well. Thank you! !